What a week that was. Thankfully, we all had a long weekend to recover from one of the craziest weeks this year. Sterling weakened against the dollar throughout the week, although it managed to retrace some losses on Thursday, when retail sales came in far better than expected. However, after that bit of positivity came more doom and gloom in the form of the UK GDP growth rate for the first quarter of 2018. 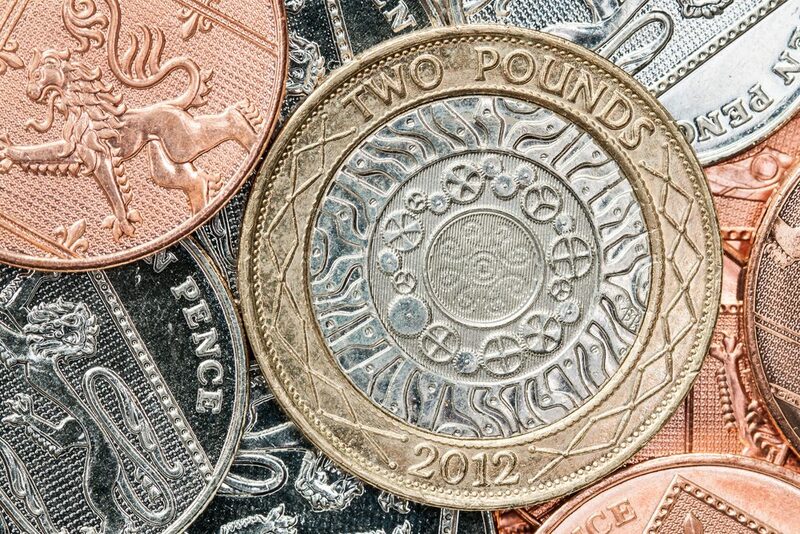 Figures released showed that the UK economy grew by just 0.1% in the first quarter of the year. It is the worst quarterly GDP reading for five years and is some cause for alarm. The Office for National Statistics restated its belief that the Beast from the East was not to blame which is further cause for concern. Year-on-year, GDP was revised downwards from 1.4% to 1.2% and to put that disappointment into context, some figures at the Bank of England believed the growth rate might actually be revised upwards. Sterling slid once more against the dollar but held its own against the euro. The single currency sank to its lowest level against the dollar for six months, as political events in Italy and Spain worried investors. It could be a sign that the eurozone crisis is raising its ugly head again and is certainly a situation to keep our eyes on. Meanwhile, Trump was his usual unpredictable self. On Thursday he announced that the North Korea summit had been cancelled, only to then do a dramatic about-turn on Friday. Speaking to reporters at the White House, Trump said “They very much want to do it. We’d like to do it.” He also Tweeted that it was very good news to receive a warm and productive statement from North Korea, who had earlier said they were committed to doing their best for the sake of peace and stability for the world. As we said, a crazy week all told and it could be more of the same this week. On Wednesday, it’s the US’s turn to release the second estimate of GDP growth for the first quarter of 2018, so let’s see how it compares with the UK’s. German inflation is also scheduled for release, as are non-farm payrolls. The big talking point in the UK on Friday was the news that the UK economy grew by just 0.1% in the first quarter of 2018. The year-on-year figures weren’t much better and were revised down to 1.2% from the 1.4% in the first estimate. There is growing evidence to suggest that the UK economy is in an extremely weak position and with no clarification on Brexit plans forthcoming, we could see this trend continuing. Sterling has been suffering from the effects of Brexit ever since the results of the EU referendum were released. The pound lost 12 cents against the dollar that day and it is yet to get back to where it was before the drop. And let us remember always: we haven’t left the EU yet! We could be in for an extended period of volatility. Business investment in the UK also decreased in the first quarter. In those three months, investment shrank by 0.2% which is the biggest decline since the third quarter of 2015. Year-on-year, it had been expected to increase by 2.4%, but the figure came in at 2%. Worrying signs. This week is a quieter affair, but we will see Nationwide house prices today and Gfk consumer confidence on Thursday. Sterling isn’t the only currency having a hard time against the dollar at the moment, with the euro sinking to its lowest level against the greenback for six months. The move came following growing concerns that the eurozone crisis has flared up once more, with political uncertainty occurring in Italy and Spain. This follows a run of disappointing economic data from the eurozone and, in many ways, is the last thing the continent needs right now. The German Ifo business climate for May came in below expectations by hitting 102.2 against a forecast of 102.7. That isn’t too bad considering, but it is yet another piece of economic data that wasn’t quite as good as expected. Over the weekend, we also saw that Italy is facing a new political crisis. The country has been without a government since the election 4 March and on Sunday night, Giuseppe Conte – the man who had been tasked with forming what would have been Western Europe’s first populist government – resigned. The departure came after the Italian President, Sergio Mattarella, rejected the anti-Euro Paolo Savona as finance minister. Mattarella has since asked former IMF economist Carlo Cottarelli to form a government. It’s a quiet start to the week for the eurozone, before German retail sales and the unemployment rate is release tomorrow. We will also see business and consumer confidence in the eurozone for May, and services, economic and industrial sentiment for the same month. German inflation is also released on what is an extremely busy day and it will interesting to see whether the euro can retrace any of its recent losses against the dollar. Trump is known for his scattergun approach and it is fair to say that nobody can properly predict what he might do from one day to the next. Indeed, US allies in Asia were fully unprepared for the announcement that the North Korea summit was cancelled, so one can only imagine what they made of Friday’s suggestion that it might go ahead after all. Still, the dollar soared against sterling and the euro to cap a fine week. It’s actually been a good few weeks for the dollar which has been supported by expectations of further rate hikes in 2018 and a run of positive economic data. It is in stark contrast to the UK and when we consider how badly the dollar performed at the turn of the year, we begin to understand how unpredictable the currency markets are. Durable goods orders were released on Friday and surprisingly shrank by more than expected. A drop of 1.4% had been forecast, but orders actually fell by 1.7%. Still, this is unlikely to rattle the markets in any meaningful way given the backdrop of other economic data. Today we will see consumer confidence in the US for May before Wednesday’s all-important second estimate of GDP growth rate for the first quarter of 2018. It is expected to come in at 2.3% and it will be fascinating to see what the actual reading is and how it compares to the UK’s woeful reading last week.